Postponement policy: In order to postpone a reservation you must notify us 48 hours before your scheduled show up time (We play rain or shine) - If 48 hours notice is given, you may move to another date based on availability without losing your deposit. A rain check not cash will be issued for all cancelations 48 hours out. If notice is within 48 hours of your start time we reserve the right to offer no compensation. Deposits are non refundable, meaning if you deposit for 10 players and only 9 players show-up, you the organizer are responsible for the player/players ($30/player) that did not show; therefore the $30 deposit is lost (i.e. may not be used for purchases that day). 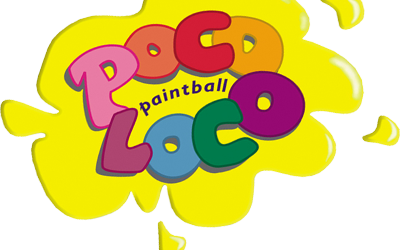 Private Session: To reserve a private session you must (call first to check on availability) have 20 paid players deposited prior to your date, and 20 players in attendance on game day or Poco Loco reserves the right to mix other players with your group of equal playability. WARNING! - Showing up on game day with 20 players without prior arrangement for Private Play will not guarantee Private Play. Private play is when you meet our qualifications, which allows your group not to be mixed with others; you move from map to map with your own judges throughout the day. Non-Private play is the same except you play with other players of equal skill level along with your players. Rewards: - In order to qualify for any of our group organizer rewards you must have the number of players required for that reward in attendance and playing. Weekday games: (Monday through Friday) Call for availability. This agreement represents the entire understanding of the parties to the electronic filling of this reservation. After submitting this form, you must click through to our payment form to complete the reservation process. Check this box if you are the Group Organizer?